See below for detailed event write-ups and links to RSVP. 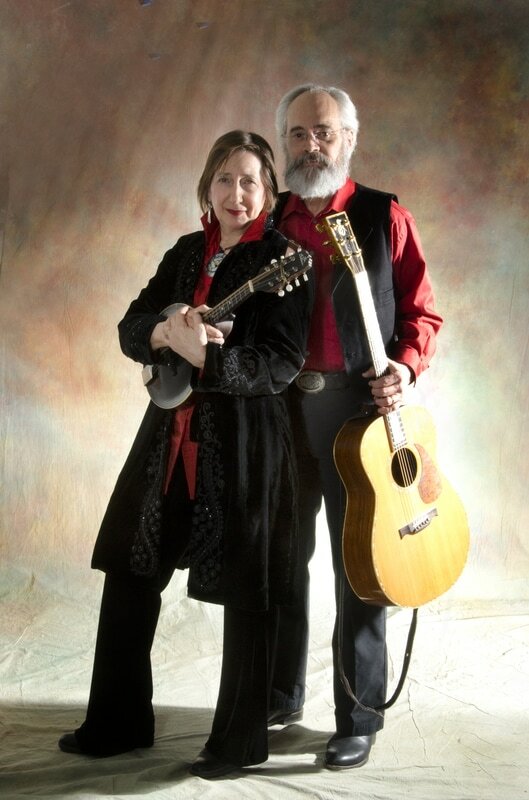 ​Many musicians have day jobs and many office workers dream of other vocations: Lee and Bev weave these together perfectly. They both work at the AFL-CIO – Lee’s a Senior Digital Strategist in the Digital Strategies department and Bev’s an Administrative Secretary in the Communications department – and they’ve both been singing for decades. Jazz singer Bev Holton began singing at age three, performing "Zip-A-Dee-Doo-Dah" at her nursery school's talent show. Since then she’s performed with the Nova Shadow Quartet at Cornell University in Ithaca, NY, a vocal group in Boston performing weekly concert versions of Broadway shows, at various piano bars and open mike nights in New York City, before returning to DC where she’s performed regularly for the last 30 years. Joe Uehlein has sung on hundreds of picket lines, in union halls, at union educational conferences and conventions, and in all of DC's finest venues. His deep roots in the labor and environmental movements make the theme of this show -- "Songs for the Resistance" -- a natural for him. Joe's new CD, Sweet Lorain, named for the city in Ohio where his story starts, is a true concept album: ten new originals and two covers, all songs that have something to say about the world around us. Now celebrating a half-century in the American Federation of Musicians, Joe has lived his life at the confluence of art and activism, performing with Billy Bragg, Tom Morello, Pete Seeger, Steve Earle, Lester Chambers, and more. United by the beat and driven by the groove, AZTEC SUN's music is perfect for dancing or just listening and appreciating. Named "DC's Best Local Band of 2016" by the Washington City Paper's Reader's Poll, they offer a blend of 70s-era Funk and Soul music with heavy influences of Afrobeat, Blues and Jazz. Hard-hitting rhythms, infectious melodies and high-energy live performances are the hallmarks of this band. The group combines a multitude of cultural backgrounds and professional occupations (including two musicians union members) - but the sum of their work is a tightly-wound music machine. Catch them live at the 2017 DC LaborFest! 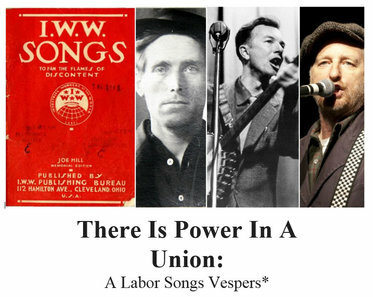 From Joe Hill to Pete Seeger to Billy Bragg, the songs of the labor movement have helped rally workers to the cause, inspired men and women to organize for justice, and articulated the aspirations of of tens of millions of workers around the world. Join Pete Rafle, Bob Carr and Bob Hatfield as we honor the music and poetry that has inspired the power of solidarity and the workers' struggle. All are welcome. Stay after the service for refreshments and conversation. *Vespers: A complimentary, casual (occasionally spiritual) gathering around themes of music & poetry, easing the transition from workweek to weekend. We are a thriving liberal spiritual community of some 1200 adults and children, a descendant of the historic All Souls Unitarian in DC, now in our 62nd year. ​An original “labor jazz opera” by local activist/musician Steve Jones, “Love Songs” tells the moving story of a strike led by African-American women at the R J Reynolds factory in Winston-Salem, NC, which was an early victory against Jim Crow segregation. Tonight’s performance will feature selections from “Love Songs,” with local singers, directed by Elise Bryant. 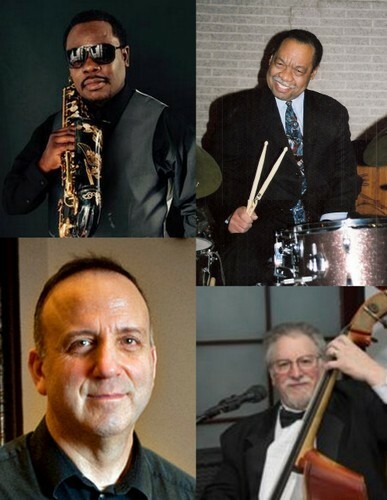 The DC LaborFest wraps up with a full night of jazz starting with a live simulcast concert from 5-6p on WPFW 89.3FM with local jazz musicians from the Washington Musicians Union, including Bob Boguslaw on piano, Antonio Parker on saxophone, PercySmith on drums and Paul Scimonelli on bass.